Brief Synopsis – After his wife is killed in a tragic mishap, a spy trying to return to his old life seems to be pursued by an unknown avenger. My Take on it – This is a film that I had never heard of until very recently and the film’s apparent connection to an ancient Jewish idea is what drew me towards wanted to see how they deal with things. Unfortunately, this is a terribly silly thriller that doesn’t make any sense what so ever. They seem to try too hard to make this film feel like it could be something made by Alfred Hitchcock, but fail miserably because it lacks so many of the elements that the Master utilized in his films. The story itself makes little sense and even when they try to explain the ancient Jewish rituals, they get so much wrong that even if they try and brand things as “scientific fact” that is supposedly descried intelligently, it just desn’t stand up well enough because even a non-scholar like myself knows that what they are claiming is incorrect. This takes so much away from enjoying this film. 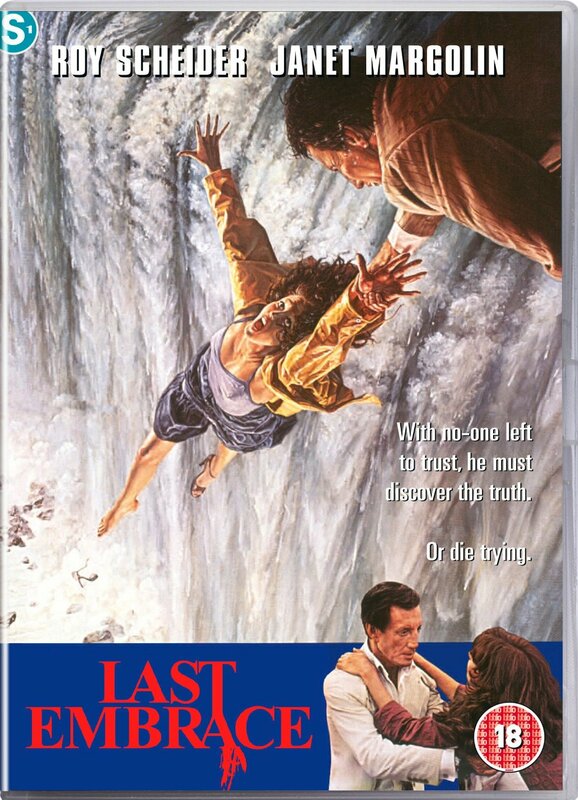 Roy Scheider is a great actor, but even in this film, he isn’t given the ability to help make this story more interesting, intriguing or for that matter thrilling and instead the story remains quite boring from start to finish. Bottom Line – Terrible thriller that just doesn’t work at all. This film tries too hard to try and emulate the genius that Hitchcock was the master at and they fail miserably. The story makes very little sense and even when they try to explain things they make an even bigger mess of things. They even get much of the “science” aspects that they try to describe intelligently completely wrong which takes so much away from this film. Scheider is a great actor, but even he can’t help this film be interesting, intriguing or even thriller instead of downright boring.